On behalf of the Gilbert Football staff I would like to welcome you to the Gilbert Tiger Football Program. It is a pleasure to have you as a part of the program. We are thrilled to begin working with you towards the Gilbert Football mission, which is to “develop championship student athletes of character on and off the field.” I firmly believe that high school athletics provide a vehicle for educating student-athletes in valuable life lessons. Football teaches personal responsibility, self-control, teamwork, and mental and emotional endurance. 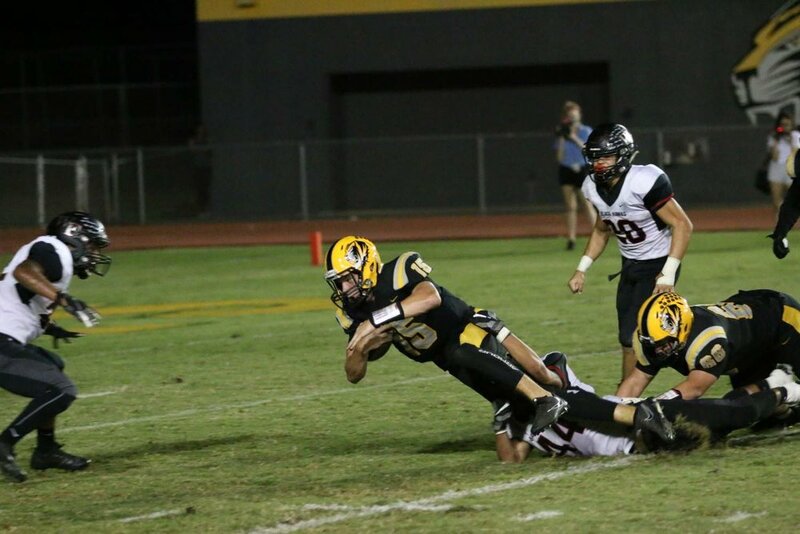 Additionally, the football team provides an immediate opportunity for our students to experience the brotherhood that they will hopefully continue to develop over four years at Gilbert High School. As a head coach, I am aware that there are times when athletes and their parents have concerns or questions. If you have a question or concern regarding the program or if I can assist you in anyway, I encourage you to contact me. Again, welcome to the program, I look forward to seeing you at the football games. Click here for all the important and required forms for all athletes to participate. Visit the Alumni Profile page to discover the continuing football careers of former Gilbert Tiger Football players now playing on Saturday.